It's May which means it's LOAD time - insert happy dance here. 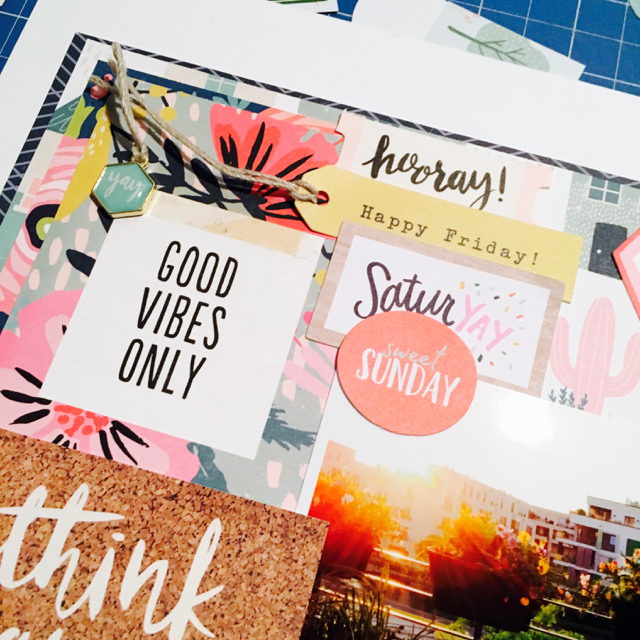 So far, I'm rather behind my target of 15 layouts for the month - I've made a total of 6 so far! But inadvertently, I did make a layout that fulfils one of the previous prompts here on Whimsical Musings WM#276 - be inspired by the new releases at Creativation 2018. Look! There's a llama! 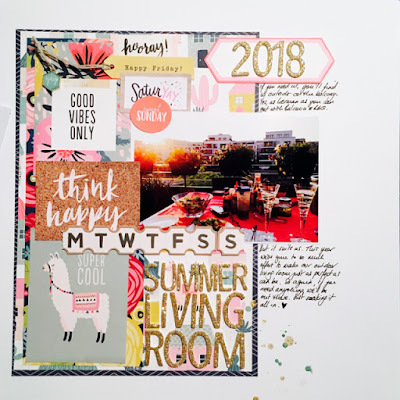 In my book, that's totally Creativation 2018 and I am thrilled to have found a way to use it on a layout. I mean, I've never even met a llama in my life so I really struggled with thinking how I was going to put it on a layout. But this fun, sun-filled layout seemed the perfect spot for the happy feeling it purveys. I also used my Counterfeit Kit Challenge May kit, Funky for this layout which is proving to be super fun to cut up and create with. 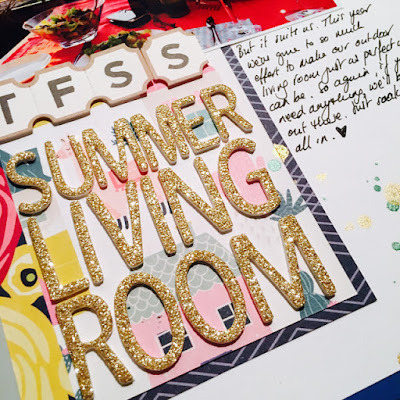 Don't forget that if you're inspired to create this week, that you can add your creations to our Facebook group here - we love it when you share so please don't be shy! Tag your entry with #WMXX so we know exactly which inspiration you've taken.